Ching-Rong Lee ＆ Miao-Hsueh Lin (2014), The Investigation of Taiwanese Retailers’Innovation during the Years of Global Financial Crisis. International Conference on Business and Information (BAI 2014) Osaka, Japan. Ching-Rong Lee (2013) Does Social Networking Promote Adults’Acceptance of Mobile Learning. 2013 Annual Meeting of Western Decision Science Institute (WDSI), Long Beach, California USA. 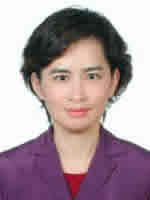 Ching-Rong Lee (2012) The Exploration of Online Engagement Data in LMS as Predictors to E-Learning Outcomes . The 20th International Conference on Computers in Education (ICCE), Singapore NIE. Ching-Rong Lee & Chia-Nien Liu (2012) A Diffusion of Innovation Study on Adopting a Blended E-learning Course of "Basic First-Aid" for Undergraduate Students. The 26th Annnual Conference of Asian Association of Open University (AAOU), Chiba Japan. Ching-Rong Lee (2010) Excel Buttons to click for E-Learning Instructors Who Have a Great Number of Students.. The 6th International Conference on Science, Mathematics, and Technology Education (SMTE), Hwai-Lien, Taiwan. Lee (1997) The Study of Adult Recall and Comprehension on Illustrated Text. International Conference of Distance Education '97, State University of Pennsylvania, USA. Lee, CR (1996) Illustrated Text, Cognition, and Adult Learning. In the Proceedings of Asian Association of Open Universities 10th Annual Conference, Tehran,Iran, 11/12-15. Lee, C.R. (1995) Learning and authoring with Mosaic：A preliminary research. In the Proceedings of Asian Association of Open Universities 9th Annual Conference. Taipei, Taiwan. 1995.